Indian Motorcycle, America’s first motorcycle company, loves making history at Daytona, whether it’s winning the first Daytona 200 or drawing the best crowds with our Daytona Bike Week events. This year Indian again has a full schedule of events, including demo rides, new models, vintage & custom bike displays, racing, organized rides and much more during the 75th Anniversary of Daytona Bike Week, March 5-12. 9 a.m. – 5 p.m., Daily; Last Ride Leaves at 4:30 p.m.
Bike Week attendees will have the chance to ride the entire 2016 line-up of Indian motorcycles, including the Indian Scout Sixty cruiser, Indian Chief Vintage bagger, Indian Roadmaster tourer and a very special new model. 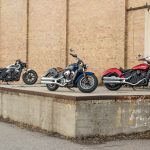 Ride multiple bikes, compare, and decide which Indian Motorcycle models best suit your riding style. 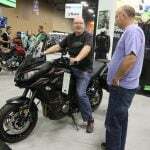 Demo rides are free and available to those with a valid motorcycle endorsement and proper attire. 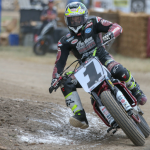 Enjoy live music, food & refreshments as Roland Sands and fellow Team RSD racers battle handlebar-to-handlebar in pursuit of the checkered flag on their RSD SuperHooligan Indian Scout Sixty dirt trackers. Winners of the Project Scout contest will be announced at this event, and you’re welcome to join a celebratory after-party at the Boot Hill Saloon. Visit the dealership in the heart of Daytona Beach for all of your bike, accessory and apparel needs, as well as a variety of special events. Owners of Indian motorcycles join veterans from the Veterans Ride program in an organized tour that begins at Indian Motorcycle of Daytona Beach and travels to Orlando for lunch. 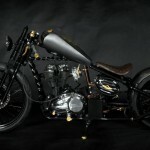 Owners can roll alongside a Vet rider from last year’s inaugural Veterans Charity Ride as he captains a new custom Indian Trike. Kickstands go up at 10 a.m. Put a stamp on the end of a legendary week by joining Indian Motorcycle at the Boot Hill Saloon to ‘Celebrate the 75th‘. Visit www.IndianMotorcycle.com/en-us/daytona for the most up to date schedule. Learn more about Indian Motorcycle by visiting IndianMotorcycle.com and Facebook, Twitter and Instagram social media channels.